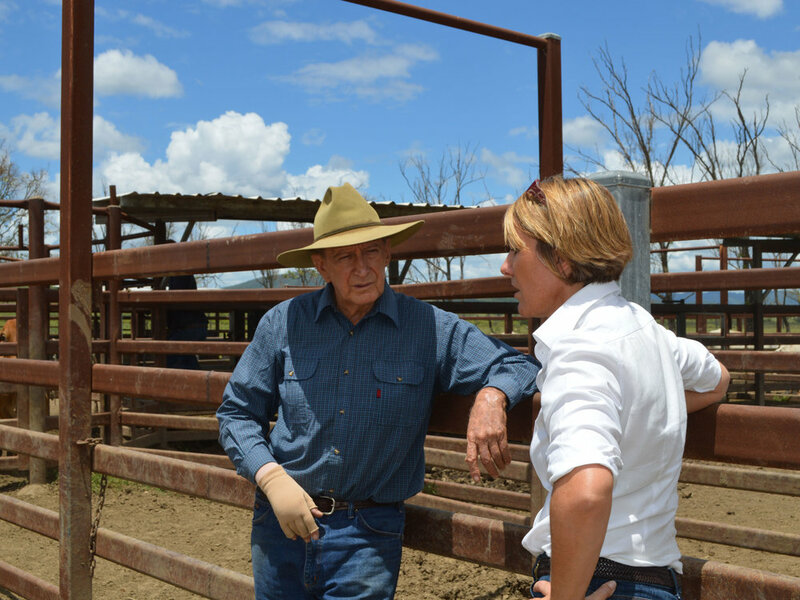 The welfare of our cattle, the sustainability of the environment and the health of our consumers is vital. We are committed to sourcing the best possible cattle from Australian Certified Organic producers, ensuring the integrity of our supply chain. The Australian Organic Meats Group continues to strengthen and coordinate Australia's organic beef supply chain. We are a company made by producers for our fellow producers. The Australian Organic Meats Group is strategically working with a vast network of producers who align with our personal values of sustainability and best practices to produce a quality product while creating a healthy lifestyle for our farming families. Our network of certified organic producers spans over vast cattle country in multiple state in Australia to ensure our valued customers have a continuous supply of product. Working on a daily basis with our producers who share the same goals of sustainability, environment and best health practices for the animals ensures we can produce quality products which we are proud of. Our goal is to provide long term opportunities for the next generation for farmers. Our cattle are raised on the abundant lush grasslands of Central Queensland, the Channel Country, Darling Downs, northern New South Wales, vast grasslands of northern Western Australia and lush pastures of southern and western Victoria. These premium cattle growing areas are renowned for their plentiful fertile pastures and undulating farmland, producing healthy and happy cattle. The diversity of the location of these regions ensures access to quality livestock all year round and assists in future proofing our supply should climatic conditions affect some areas. We are committed to developing a sustainable program that incorporates all facets of the supply chain, including the implementation of a rigorous quality assurance program from producer to consumer. recognition for sustainable organic production. The supply chain is underpinned by a network of leading producers with the capacity and quality to provide year round supply of certified organic livestock. Our vision will encourage and support more producers to enter the certified organic program.